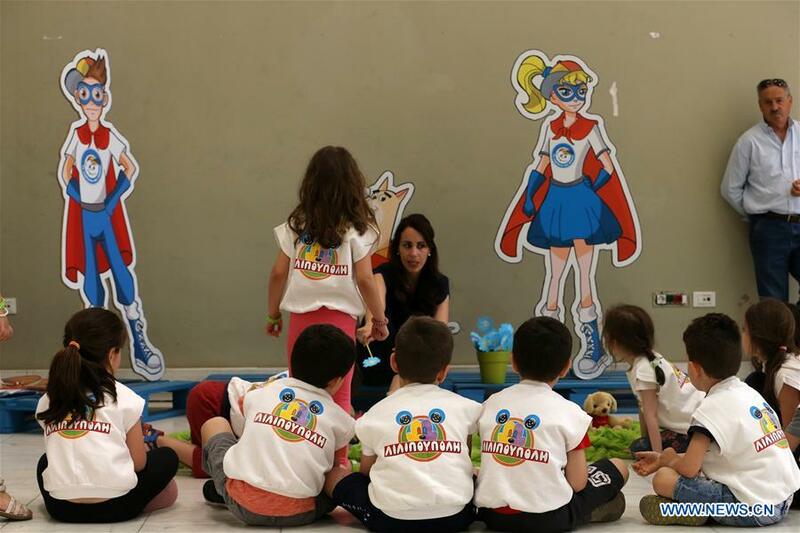 ATHENS, May 25 -- Greece marked International Missing Children's Day on Friday with a conference during which officials and experts presented encouraging statistics. The overwhelming majority of minors who go missing in Greece are traced, according to the Greek police and NGO Smile of the Child, which organized the event. In 2017, 263 cases of missing children were handled, and 221 children were found, according to the official statistical data of the Greek police, presented by the head of the Division of Missing Persons and Deputy Police Director, Nikolaos Zervakakos. With regards to child disappearances of refugee and migrant minors, 826 cases of refugee and migrant minors were handled, and 257 were found in 2017. Addressing the event Costas Yannopoulos, president of the NGO, said: "Authorities and all the relevant actors cooperate to ensure that every refugee and migrant child will be treated on an equal basis." With some 20,000 refugee and migrant children stranded in Greece after the closure of northern borders to central Europe in 2016, including 2,000 unaccompanied minors, Greek authorities and NGOs try to offer assistance to these vulnerable kids.